I am currently a consultant to CameronTec Group, acting as webmaster and maintaining the main website as well as a company intranet and support portal. I previously worked in the same capacity for Cameron Systems (from 2002) and then for Orc Software when it purchased Cameron Systems in 2006. The website is constantly evolving as new products and sections are added. The underlying architecture of the website was designed by Greg to easily allow this to happen. I worked with graphic designer Mike Gaal on the technical aspects of implementing this detailed design. Mike then produced the composites that I used to write the code to make it all happen. 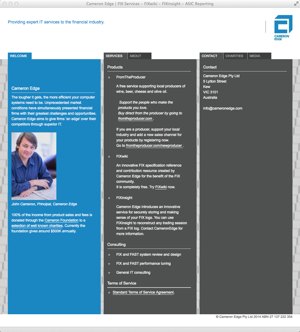 This is a fully responsive design that has three different layouts for different devices: desktop computers, tablets (iPad etc) and phones. This is the way of the future as more and more people use handheld devices to access the internet. 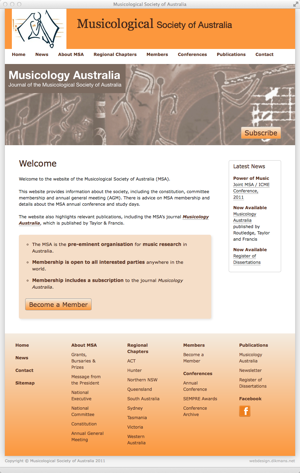 You can see the responsiveness in action by visiting the site and narrowing the width of your browser, or by visiting the site on different devices. 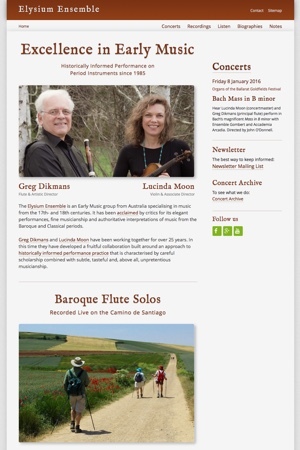 I am the artistic director of the Elysium Ensemble and this website is a labour of love designed to communicate information about the ensemble’s concerts and recordings, as well as information about the music, history and performance practices of the 17th and 18th centuries in Europe. 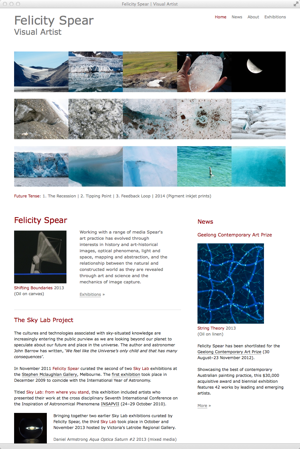 I work closely with the artist Felicity Spear to design, develop and expand this website to showcase her ongoing work as a visual artist and curator. 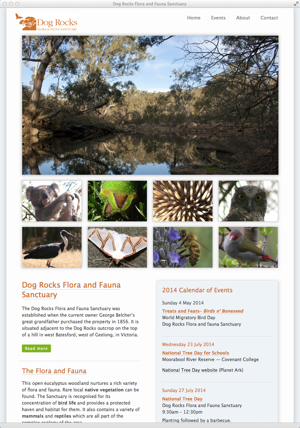 The Dog Rocks Flora and Fauna Sanctuary wanted a simple website to raise its profile in the local community, communicate information about the local flora and fauna, highlight the work of the Batesford-Stonehaven-Fyansford Landcare Group and to complement other publicity activities. The website started as a single page, but quickly expanded to include more pages, such as an Events section to document the various activities at the Sanctuary. 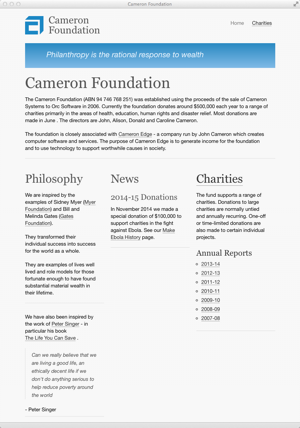 The Cameron Foundation needed a website in a hurry. I built this responsive website, intended to promote and report the Foundation’s philanthropic activities, in just a few weeks. Greg worked closely with John Cameron, a programmer with over 20 years experience developing software for the financial industry, to provide a simple and clean code base that John could then maintain himself. 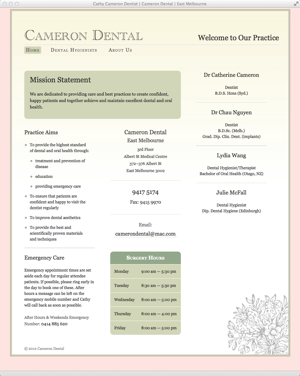 Cathy Cameron is the principal dentist in a busy, friendly city practice in East Melbourne, Australia. Nearly all new patients come through word of mouth, so the website’s main function is to make Cathy and the practice easy to find online. Because of the coding and content design, the website ranks in the top positions in Google searches for Cathy Cameron, Cameron Dentist and even Cathy Dentist. 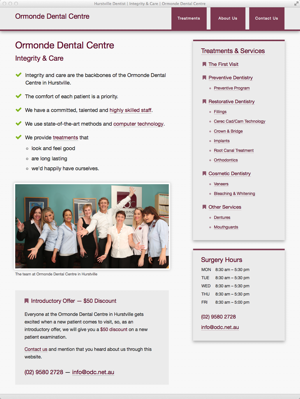 In 2012 the practice changed its name to Dentists In East Melbourne with a new URL and website. The Cameron Dental website is still in place to maintain Google ranking and to redirect patients to the new website, but is no longer being actively maintained. I was given composites created by graphic designer Mike Gaal and wrote the code to implement this design, which has a somewhat unconventional functionality. 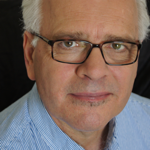 I worked closely with John Cameron, a programmer with over 20 years experience developing software for the financial industry, to provide a simple and clean code base that John could then maintain himself. The brief was to design a website using established corporate identities that, as well as being visually interesting, had an underlying architecture that would easily scale as this publishing company expanded its catalogue of books and music. 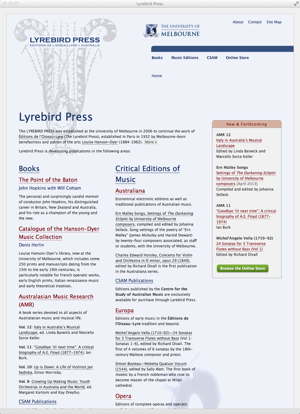 In 2013 the Lyrebird Press website was decommissioned and its content moved to the Faculty of the VCA and MCM website at the University of Melbourne. 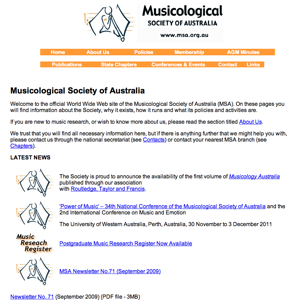 The Musicological Society of Australia website needed a redesign (see below). The underlying structure, information architecture and coding also needed to be reworked to comply with modern standards and to make the site easier to maintain in the future. 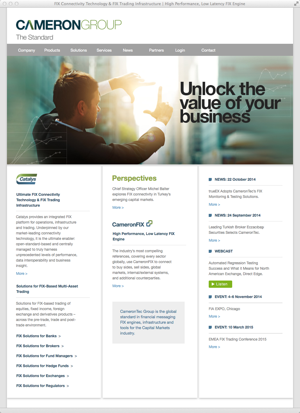 I worked with existing branding and content to produce a much more attractive, streamlined and useable website. 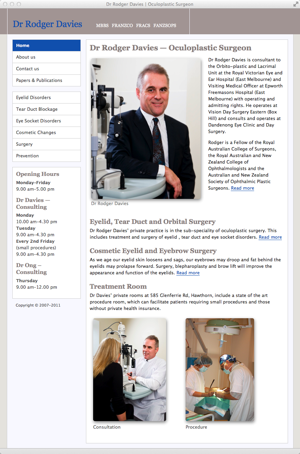 The brief was to create a website using Dr Davies’ established corporate identity to inform general practitioners and the general public about the many conditions and treatments in Dr Davies’ area of specialisation. It was important that the information should be easy to find by people visiting the site and that it should rank well in Google searches.